Cloud Ten Pictures – 2002. While promising to open the door to an entirely new type of warfare, a top-secret Pentagon experiment designed to unleash paranormal powers suddenly goes wildly out of control. At the same time an observatory in the Sierra Nevada Mountains receives a confirmed extraterrestrial signal. 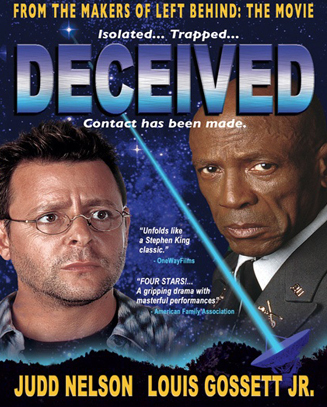 With evidence that the two are somehow connected, colonel David Garrett (Gossett) rushes with a team of commandos to the observatory. Meanwhile, the billionaire who has funded the observatory gathers his own team, built around computer expert Jack Jones (Nelson), with the goal of immediately sharing the signal with the entire world.